Power generation is a strategic asset for all world Countries and environment protection, sustainability and power quality are nowadays key decision factor for power generation investments. Commercial electric utility power stations are usually constructed on large scale and designed for continuous operation. Essentially rotating generators are the primary machines for power generation but there are also static generator. One example is the photovoltaic energy. to feed correctly the grid. 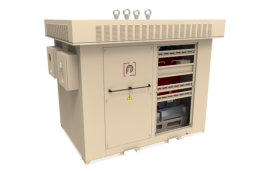 Transformers and inductors are also key elements in the power generation segment and TMC Transformers is a key player for many leading investors, users and EPCs. 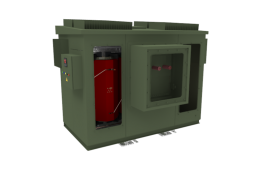 For both LV and HV applications systems efficiency and compact size are crucial. Our in house FEA design facility allows our engineers to study complex electro-magnetic circuits as well as the structural and thermal performance enabling us to provide the required level of reliability in the finished product. Small hydro projects usually have faster environmental and licensing procedures. The equipment is usually in serial simplified production and the related civil works construction is reduced. The physically smaller size of equipment makes it easier to transport and install. 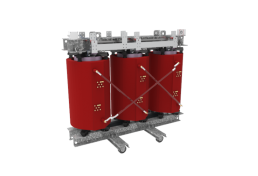 ECO design transformers with reduced load and no-load losses are available to meet European directives as well as individual project requirements. Transformers are capital goods with a service life of many decades so through life costs are an important part of the initial purchase price. Although outdoor installations normally utilize oil insulated transformers, environmental protection or easy of maintainability demand the use of specialist dry type transformers.